To stay informed about Westland news and current releases please sign up for our mailing list by providing your email address below. There was an error, try again later. Please enter a vaild email. During the summer of 2014, two single cask bottlings were released to commemorate Westland’s first annual Peat Week celebration. 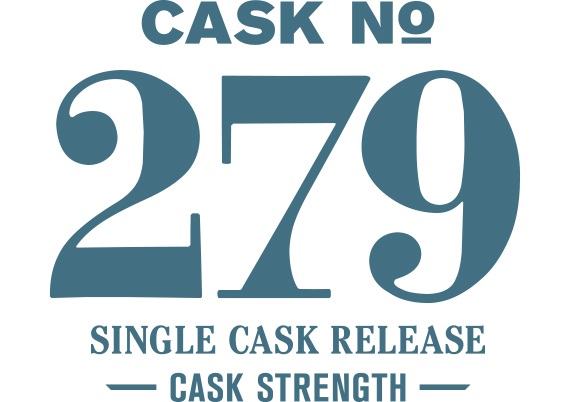 This first bottling of Cask #279 showcases the remarkable effects sherry maturation has on peated single malt whiskey. The character of this whiskey goes far beyond the expected combination of smoky peat and sweet sherry. While this is certainly a rich and smoky whiskey, dripping with sherry notes, it is also incredibly nuanced as the freshly dumped 1st-fill PX hogshead impacts the full dimension of flavors. The sherry brings together the peated malt, yeast and wood then, through its wondrous alchemy, twists the smoky flavors and fuses sweet and savory notes to create something entirely new. The initial nose is savory sweet with barbecue sauce, molasses and an absorbing liquid smoke. The palate complements the first impression with an incredibly rich and warming character that’s syrupy and savory at the same time. Water additions bring out more smoke on the nose along with peanut butter, blackberry jam on sourdough bread, and Latakia pipe tobacco. The palate however oscillates between sweet and savory – the mole poblano typical of our intense PX casks mixes with dark chocolate and chipotle peppers contend with maple syrup, all before hitting the palate with a solid dose of raisin pancakes and campfire smoke. By visiting this website, you are agreeing with our legal terms and conditions.